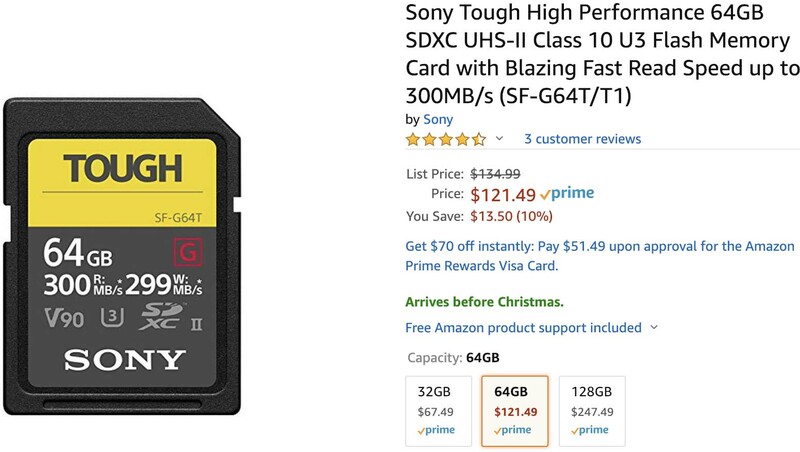 This entry was posted in Accessories, Deals and tagged SF-G series, Sony SF-G, Sony SF-G128T, Sony SF-G128T/G64T, Sony SF-G128T/G64T Tough G Card, Sony SF-G64T, Sony Tough High Performance SDXC UHS-II. Bookmark the permalink. Trackbacks are closed, but you can post a comment.